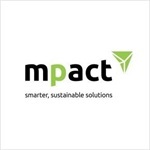 Mpact Versapak relaunched its corporate profile motiongraphic that outlines its business offering, operating ethos and accreditations, in an impactful five-minute message that can be viewed on the Mpact Limited YouTube channel. Streamlining an extensive offering into a compact motiongraphic has allowed our target market and customers to gain a full understanding of our product offering and assist our sales staff to facilitate growth where required by our customers and prospects. By communicating effectively, we have once again put our customers at the centre of our initiatives to ensure engagement that is relevant and beneficial.